London is the city that has it all. The best shopping districts and fashion companies in the world. Art galleries and museums to satisfy every taste. Toy shops that have everything imaginable for children. Classic and contemporary sightseeing tours. Cruises on the Thames and other amazing events. In fact, there is so much to do in London; it’s not always easy to keep up with some events. The Ward Thomas team are proud Londoners, and we’re always keen to pass on any information we can. That’s why we’ve put together our short guide to London’s best entertainment for autumn and winter. BFI London Film Festival – from the 4th to the 15th of October one of the world’s prestige film events opens. The BFI London Film Festival is the pinacol showcase event where original short and feature films get their first screening. It’s all about the red carpet, flash photography, dressing up and soaking it all in. This is essential for all film fans so book now to avoid missing out. London Restaurant Festival – fancy a bite to eat? October is the month of the foodie. Through the month, there are various mini events like the Ultimate Gastronomic Weekend from the 14th to the 15th and much more. Make sure you’re prepared for this one. Dishes from all over the world, cooked by A-list chefs. 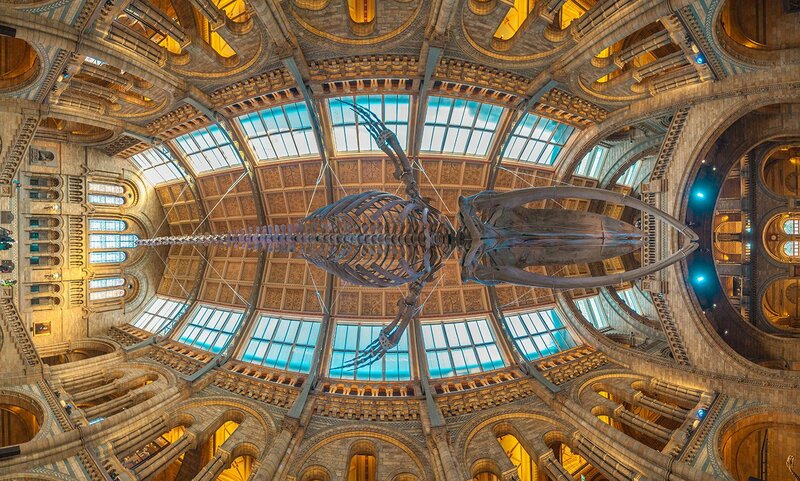 Museums at Night – from the 26th to the 28th of October, you’re invited to visit London’s favourite museums after hours. This unique program takes you on a tour of some of London’s mainstream and niche museums. With special events like a visit to Charles Dickens’ home for a Halloween fortune-telling experience. Regent Street Motor Show – this event showcases the history of motoring and is a must for all car and motorbike fans. You’ll see the best of the past with some classic cars kept in mind condition. There’s also a glimpse into the future or motoring with some of the latest innovations, some yet to reach the market. The Motor Show has stunt displays and lots of entertainment on show. A great day out for the whole family. London is abuzz with activity, and there’s plenty for residents and visitors to do. You can even ask a variety of Londoners, and they’ll tell you that they’ve had a lot of things to visit and do in their own city. No visit to London would be complete without a trip on one of the bus tours. The tours are a great way to sample some of the historical sites and buildings that shape London’s rich history. You can also get a general idea of the layout of the city and familiarise yourself. They’re all hop on and off, so you can explore all day. If you’re a fan of museums, then you’ll need to dedicate some time to see them all. The Albertopolis in South Kensington offers a choice between the V&A, Natural History Museum and the Science Museum. London is home to the Tate Gallery and Tate Modern; both are world renowned institutions with some of the best classic and contemporary pieces of art on display. Are you a foodie or connoisseur or fine wine or real ale? London has some excellent restaurants, pubs and wine bars on offer. If you’re looking to dine to impress, then head to the Peninsula Restaurant or the Ledbury. If you want something more down to earth, try Dishoom or Tortellini Cup for a bite to eat. A favourite place to have a swift pint is St. James Tavern or the Mayflower Pub. If you’re planning on moving to London or within the city, then it’s important to choose the right company. Ward Thomas is London’s prestige removals and storage provider, and our goal is always to provide a service that we would want to receive. We don’t cut corners, and we never compromise on anything. One hundred percent satisfaction is what we deliver. We cover every part of London, and our expert team plans every aspect of your move in detail. You’ll have a direct line of communication with us at all times. Communication with our customers is part of our process, and we’re always available to talk. Ward Thomas specialises in moving fragile and expensive items. If you have a large oak set of drawers and you live on the 9th floor of a complex, it’s no problem. The Ward Thomas team has every tool and piece of equipment on hand. Every job we undertake we guarantee it will have the Anthony Ward Thomas seal of approval when we’re finished. We’re specialists at moving and transporting fine art and valuable goods. Contact us today, and we’ll discuss moving your grand piano or art collection.